Looking to make a huge impact on the performance of your AR-15 without breaking the bank? You’re in luck! One of the least expensive, but most effective upgrades you can install on your AR-15 is an adjustable gas block. An adjustable gas block can make your rifle run smoother with less recoil and less wear on key parts like your bolt and barrel. 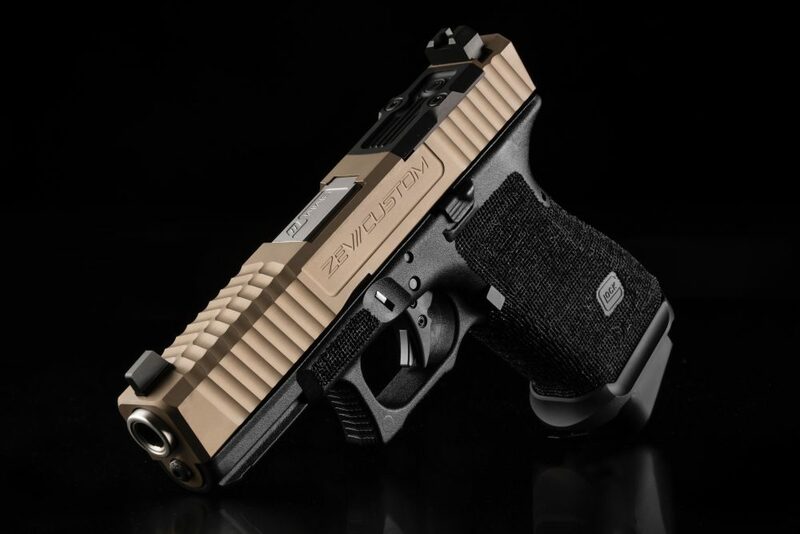 It can even allow you to run specialized muzzle devices like a suppressor with maximum efficiency. How do you get these awesome benefits? Which one of the hundreds of AR-15 parts makers actually manufactures the best adjustable gas block? 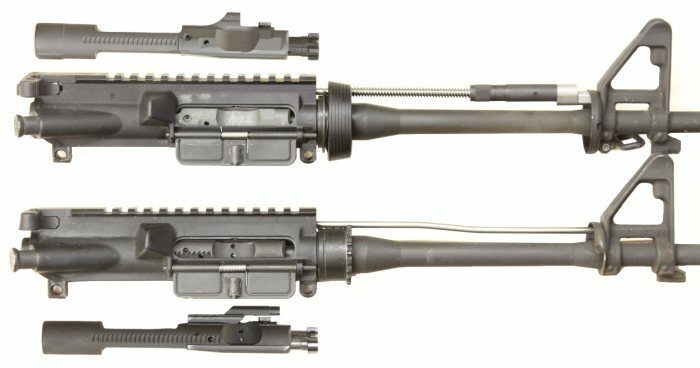 Is an adjustable gas block even worth the money? Today, we’re going to go over the basics of how your AR-15’s gas block functions, what to look for in an adjustable gas block, our top choices for adjustable gas blocks, and how to tune your new gas block. By the end of this thing, you’ll practically be an expert in all things gas blocks. Let’s get started. What Exactly is a Gas Block? 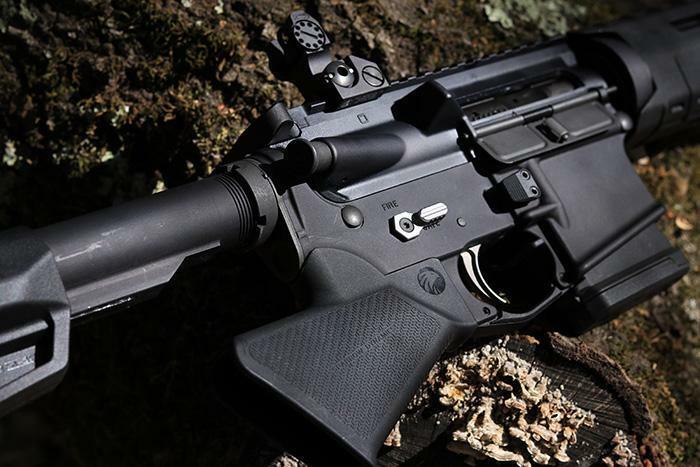 The AR-15 platform comes in two real flavors: piston and direct impingement. Don’t worry about the piston side of the equation right now, as it’s basically its own thing. In a piston system, the gas adjustment is either built-in or self-regulating. Not much we can do there. AR-15 with a piston (top) and a direct impingement system (bottom). 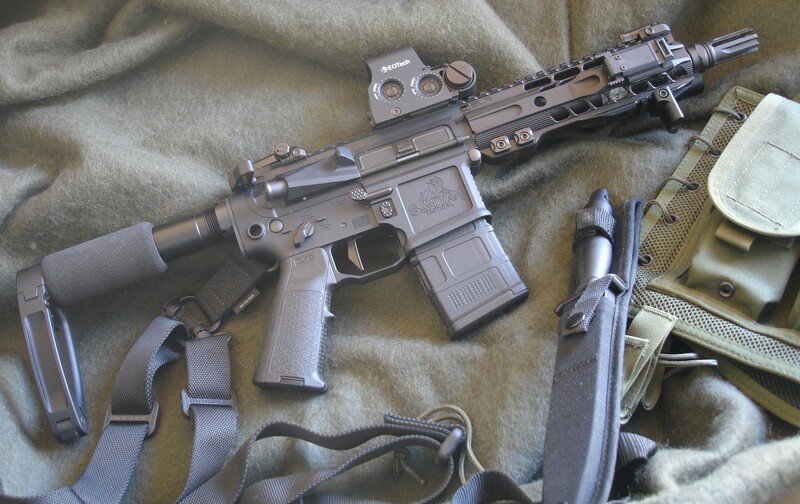 Direct impingement (DI) is by far the most common AR-15 operating system. It uses the gases produced by the ignition of the round in the chamber to cycle the gun. As the gases expand and push the bullet itself down the barrel towards the target, some of the excess gas is pushed through a port in the barrel and into the gas block. The gas block, the bit we’re talking about today, then processes the gas into the gas tube. From there, the gas pushes the bolt back, extracting and ejecting the fired casing. The bolt, which has been pushed back by the gas, will then hit the spring-loaded buffer. 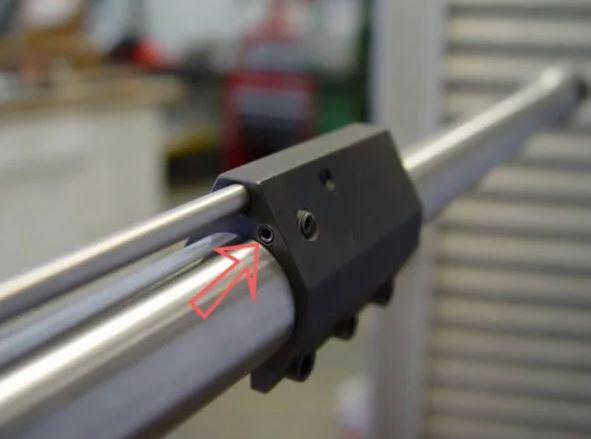 This part absorbs the impact of the bolt, slows it, and eventually sends it back forward to strip another round out of the magazine and chamber it. Though the gas system is very important, there’s very little you can really do to upgrade it without switching to a piston–except upgrade your gas block to an adjustable model. Why Choose an Adjustable Gas Block? So, why should you bother spending your hard-earned cash on an adjustable gas block? Does it really make that much of a difference? Well, yes! Your gas block is what really controls the beating heart of your rifle. If it’s not adjustable, it’s like having a guitar that can only play two or three chords. Even if it’s the best sounding guitar in the world, you’re going to eventually be limited by it. An adjustable gas block gives you a lot more freedom to tweak and adjust and personalize–which is the AR-15’s biggest strength. With the ability to adjust your gas flow, you can tweak your bullet velocity, as well as the recoil impulse from the reciprocating mass of the bolt. This means that you can tweak your gun for different loads, ammo types, buffer weights, and suppressors as needed. Most of the time, you’ll be able to do this in the field with very minimal tools. If you’ve got an adjustable gas block, you’ll have to learn just when and how to tune it for maximum effectiveness. So, when and how do you need to tune your gas block? Adjustable gas blocks can maximize your AR-15’s effectiveness. First, it’s important to know most rifles are engineered to be over-gassed by default. This is to ensure reliable function. An under-gassed rifle just won’t cycle properly, so better the rifle is a little over-gassed. While this is probably fine, you can certainly get more performance and longer parts life by tuning your gas system. That is why you want to be able to adjust your gas block. clues about what you need to fix to solve the issue. 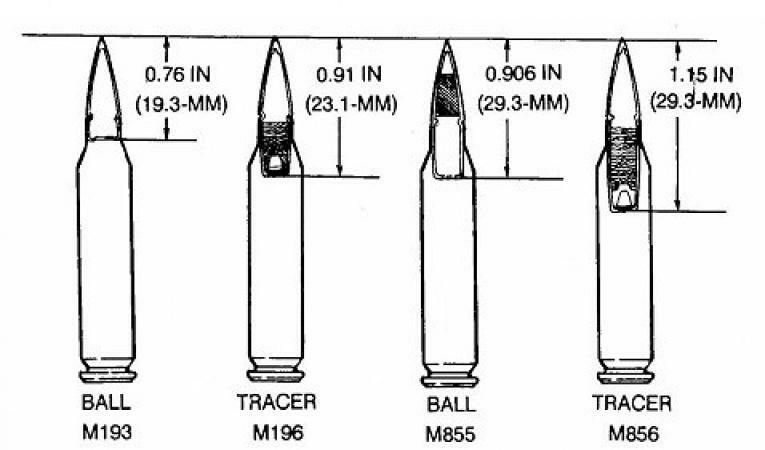 From a performance standpoint, when more gas is being directed back towards the shooter through the gas system, the bolt is hitting the buffer with more force. That’s more recoil the shooter is feeling, which makes for harder follow-up shots. This is obviously a problem for competition or defensive guns. Over-gassing also means that you have more carbon, unburnt powder, and other debris going back into the action of your gun, which raises the temperature of the internals and means your gun will get dirty much more quickly. 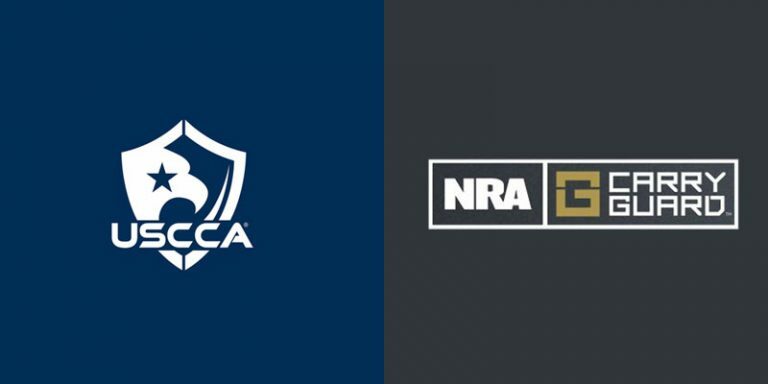 Both these factors make AR-15s less reliable, less accurate, and more prone to breakage. 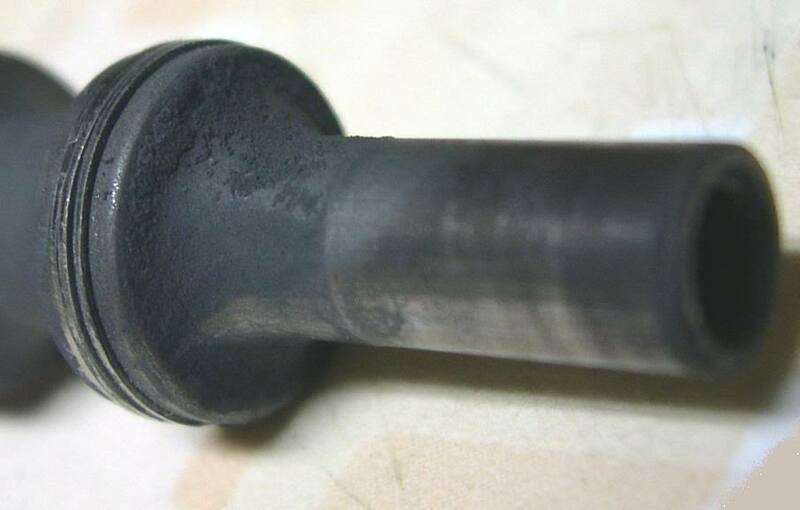 stop your bolt from looking like this. An over-gassed rifle also causes more wear on your locking lugs and your gas key, both of which are vital to the proper function of the rifle. Doing this shortens the lifespan of these parts, and potentially the service life of the rifle itself. A seriously under-gassed rifle, though, can also be an issue. 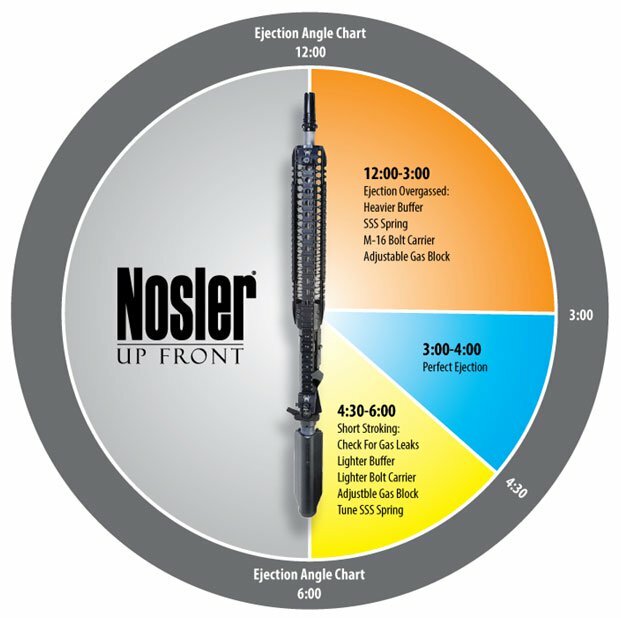 If you’re running a suppressor, you’ll want to tune your rifle so that it’s quiet, but will still function adequately. For a defensive firearm, it’s definitely recommended that you leave the rifle a little over-gassed to make sure it works when you need it. 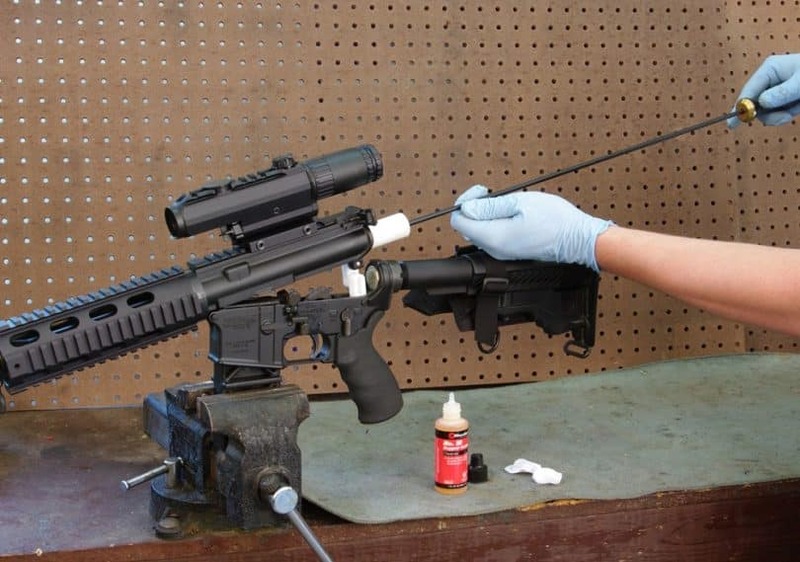 For those who spend an extended amount of time in the field or are otherwise getting debris in their rifle without an opportunity to clean it, over-gassing and running the gas block wide open can help keep their rifle running no matter how filthy it is. Just remember that this is very hard on your rifle and is definitely not an alternative to a good cleaning! In the last 20 years, the numbers of manufacturers producing components for the AR-15 platform has skyrocketed. Where there once was very few options, there now is an overwhelming amount–and gas blocks are no exception. Finding the right adjustable gas block for your particular rifle build depends on a couple of factors. Here’s what we recommend keeping in mind when selecting your upgraded gas block. Gas blocks come in different sizes ranging from .750 to .936. The one you need depends on your barrel profile. Make sure you choose the correct size for your build or your upgrade. 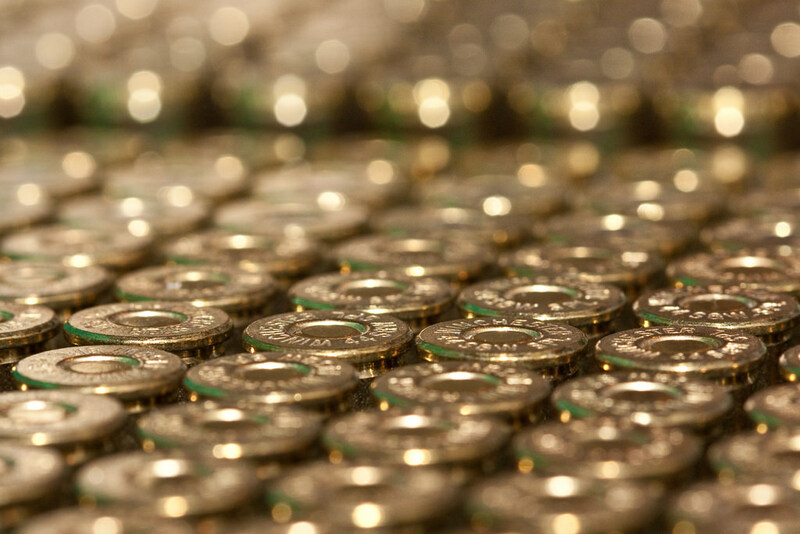 Your barrel or rifle manufacturer can tell you precisely what size you need if you aren’t sure. 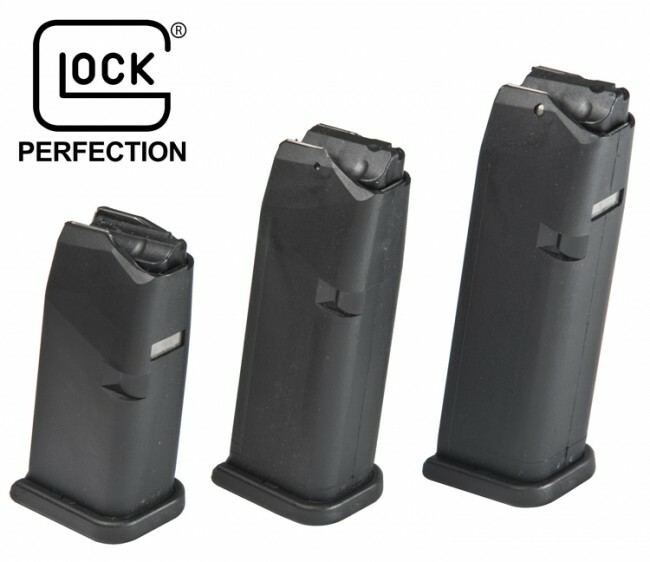 Gas blocks come in a variety of sizes for different barrel profiles. 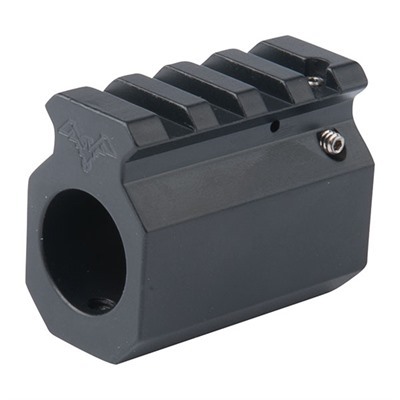 There are three types of adjustable gas block: fixed sight, low-profile, and railed. 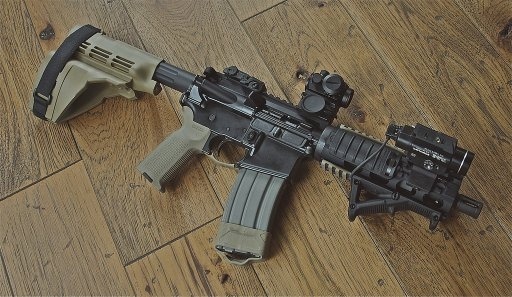 Fixed sight blocks are the standard A2-style mil-spec version like what you’d find on an M16. 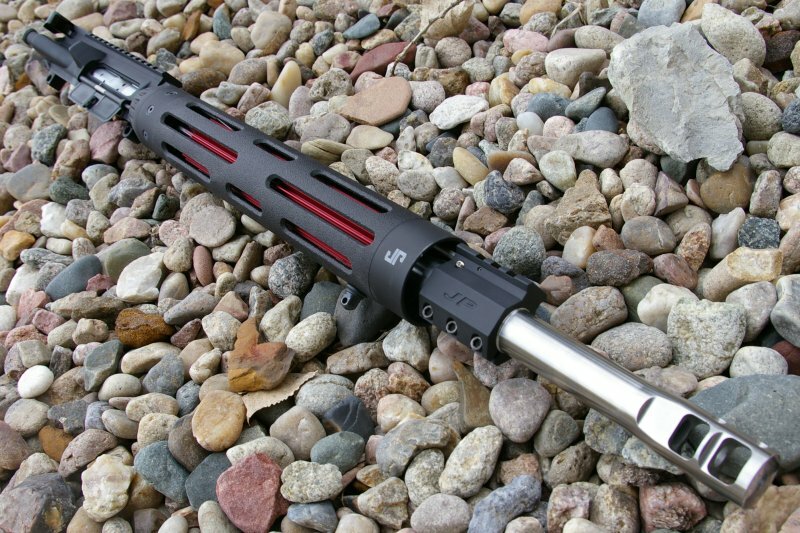 Low-profile ones are designed to fit under a free-float handguard (which is another great AR-15 upgrade). Finally, railed gas blocks have a Picatinny rail section on top them and are designed to be mounted at the end of the rail so you can slap whatever front sight you want up there for the longest sight radius possible. Some gas blocks have simple settings, like a suppressed setting and a normal setting, and some offer much finer control to really let you dial your rifle into where you want it. Both have their uses, and you should just go with the one you think is best for the type of shooting you’ll be doing. The more adjustable models are typically slightly more expensive, but they also give you a much more versatile gas system, and therefore a more versatile rifle. A Superlative Arms adjustable gas block. If you just don’t need that much adjustability, though, you can save a little on a simpler gas block. As with all AR parts, you should really only buy from manufacturers that have a high machining standard. The AR-15 is a fairly precise machine that uses contained explosions to fire a projectile at well over 3000fps. You don’t want sloppy parts in something like that. Don’t want to pick something that might not work? These are the best gas blocks around, and you can’t go wrong with any of them for your rifle. Here are our top picks, which should handle just about every need. JP Enterprises makes some of the best rifles and rifle parts on the planet, and their take on an upgraded, adjustable gas block with an A2-style fixed sight is entirely what you’d expect from one of the best manufacturers out there. This sight is solid, well-machined and finished, and captures everything about the iconic look of the original A2 sight. And of course, it’s adjustable and will co-witness with other optics. It’s a rock-solid choice for any AR-15 build out there. Low-profile gas blocks are by far the most popular style nowadays, as they allow shooters to take advantage of a full-length rail system on their rifle without the gas block getting in the way or limiting their optical options. 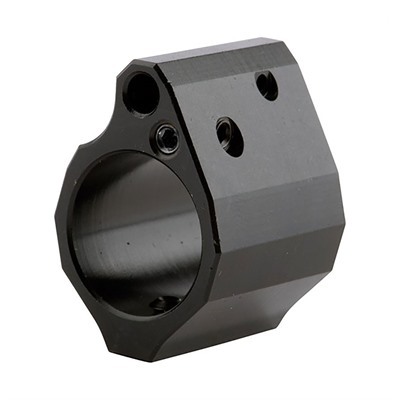 The Seekins Precision adjustable gas block is one of the best gas blocks around, and it offers high levels of adjustability, great machining, good looks, and a relatively low price for all the benefits and versatility it offers. This is a bit of a plain option without the bells and whistles of more pricey models, but it’s another choice that’s sure to be a hit with most shooters. Railed gas blocks have fallen out of fashion in exchange for longer rails, but there are still many folks who like the look of a railed gas block with a front sight on it, and that’s perfectly fine! There’s nothing wrong with this look, it’s just not as fashionable right now so you may struggle to find a railed gas block that is both adjustable and in stock. 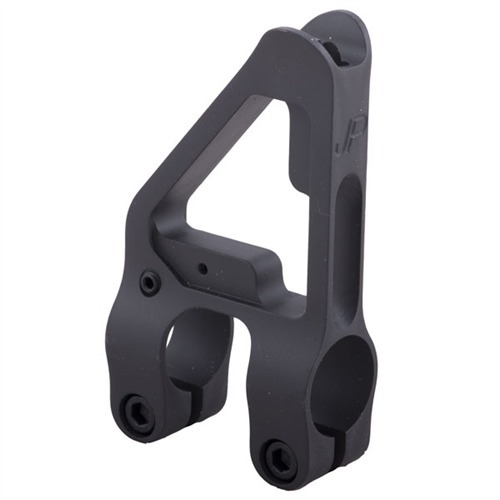 If you can find it in stock, we highly recommend the DoubleStar Pic Rail Adjustable Block for its solid quality and adjustability. 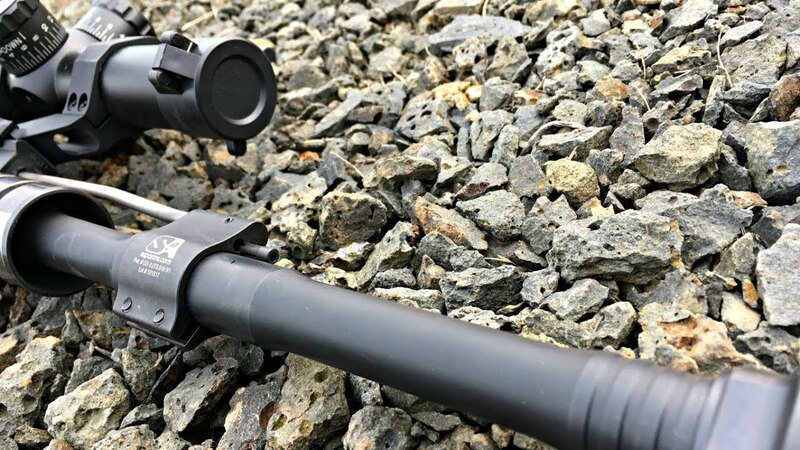 If you’re mostly looking for an adjustable gas block for suppressor use, it makes sense to use an adjustable block that’s got some suppressor-specific features. 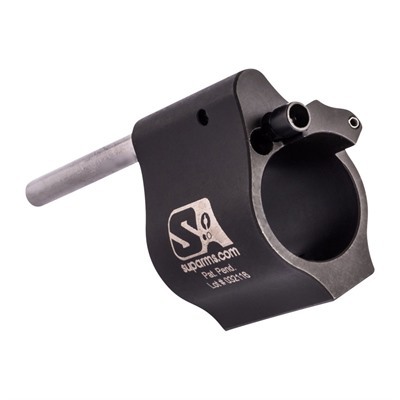 The Superlative Arms low-pro adjustable gas block has all the same features as the Seekins low-profile block, but it also has an additional bleed-off valve designed to vent excess gas precisely as needed, meaning an over-gassed rifle (a common issue with suppressed rifles) will function much more smoothly and cleanly, and at better temperatures. This teeny little gas block will practically disappear under a free-floating handguard. To tune your new gas block, you’re best off starting in a position where you can easily reach the gas block adjustment. If you have a rail in the way, remove the rail. Put a glove on your support hand, hold the rifle by the mag well instead of the forend, and make sure the gas system is all the way open. We don’t need accuracy, but we do need to complete this process with unburnt fingers. So, definitely keep your fingers protected and clear. Next, grab a magazine and load one round of whatever load you’re going to be shooting the most, or the most important load, into a magazine. If you’re a competitor or hunter, use the load that you’ll be competing or hunting with. Load the magazine, chamber the round, and fire from a safe position at a target. It doesn’t matter if you hit it–we just need the gun to cycle. If it does cycle and the bolt locks back, close off the gas system by half a turn of the hex key. Make sure you’re turning in the right direction to actually restrict gas flow. Repeat this process until the bolt doesn’t lock back, and this time open up the gas system by a ¼ turn of the hex key and repeat. When the bolt locks back, you’re done! Until it does, keep turning the gas system up by ¼ turn and repeating until the bolt reliably locks back. Finally, run a magazine or two through the rifle and make sure everything is working properly. A good indicator that you got it right is a nice, smooth recoil impulse that seems to terminate quickly and allows you to get the rifle back on target rapidly. 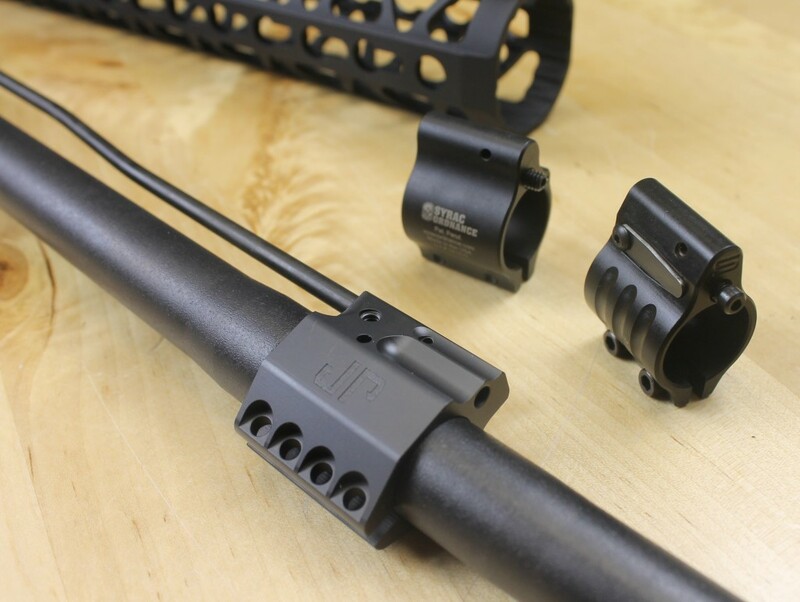 An adjustable gas block is a great low-cost, high-impact upgrade for an AR-15. If you want to get better performance, less wear, and more versatility out of your rifle, an adjustable gas block is a must! What do you think of these adjustable gas blocks? Thinking about picking one up for yourself? Let us know in the comments! 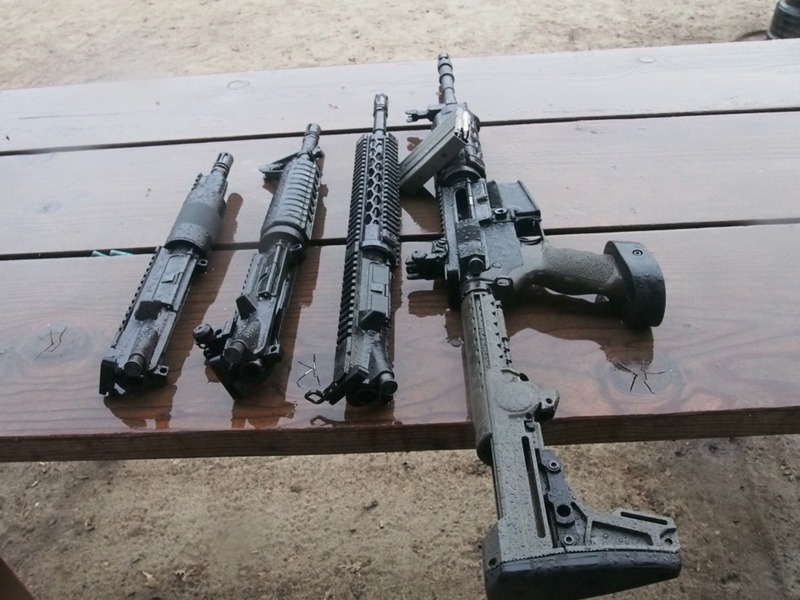 Want to learn more about upgrading your AR-15? 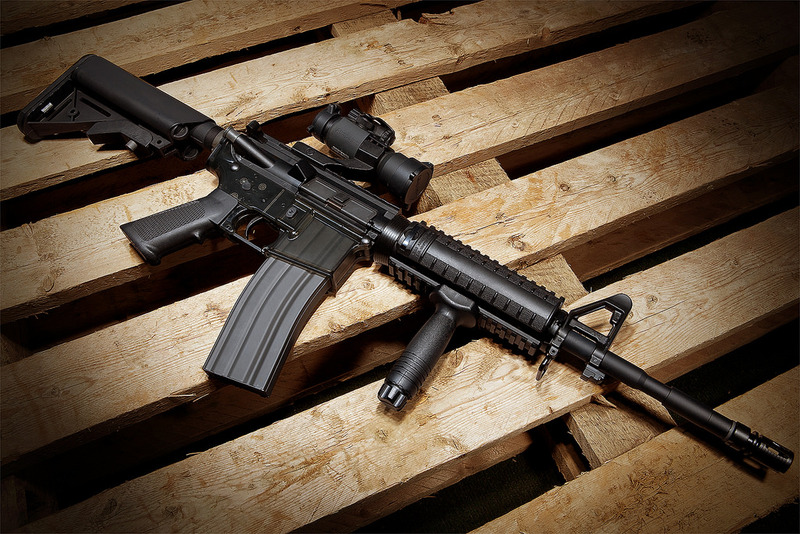 Keep the party going with our complete list of best AR-15 upgrades.